I think most know the classic Brothers Grimm fairy tale of Rapunzel. The child sold to a witch for a handful of bitter greens who grows up to be the beautiful girl in the world with long golden hair. Destine to live in a tower forever, a prince rides by and hears a voice and is enchanted by her. He learns how to get to her by climbing up her hair and ultimately rescues her for the witch and the tower and they live happily ever after. Sound familiar? But what of the original fairy tale by Charlotte-Rose de Caumont de La Force that was published in 1698? 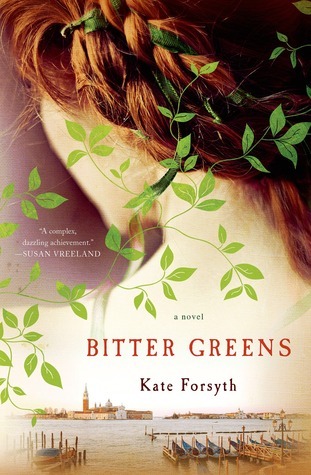 In Kate Forsyth’s book Bitter Greens, Charlotte-Rose de Caumont de La Force is one of the main characters and we see how her story could have potentially come together. This book has been on my radar for the better part of a year when I saw its release in Australia. Rapunzel is one of my favorite fairy tales and princesses so as you can imagine, I was super excited to read this retelling of her tale. Forsyth’s book follows the story of Charlotte-Rose as well as the other characters in the fairy tale, Rapunzel and the witch, so essentially there are three different stories happening in the book. The first POV in the book (Charlotte-Rose’s story), was a little slow to begin with, but it was obviously necessary to set the stage for this wonderfully charming book! Charlotte-Rose was banished from the court of King Louis XIV and sent to a convent to live out her days as a nun while retaining her stipend, rather than live exiled and poor in England. She quickly decided that living broke in a foreign country would be infinitely better than living at the convent! Soon she befriends a a nun who works in the gardens and as they work, the nun tells her the story of a young girl who was sold by her parents for a handful of bitter greens to a witch in Venice. The witch baths in the blood of young virgins to maintain her youth and beauty, and though we shouldn’t care about her story, Forsyth weaves it in to the narrative with the story of Margherita, the girl who would become the witch Selena. This story was magical! I loved how Forsyth sprinkled magic and witchcraft throughout the story. It wasn’t the focal point of the story though which I loved. It added to the novel and the characters, rather than stealing the spotlight on its own. The characters were complex and imaginative and their stories were richly developed and intriguing. Each time the story switched back to another main character I was equally excited and disappointed because I wanted to know what happened next. I was absolutely in love with Margherita/Selena…..even though she was the villain, I admired her story and her strength in the face of absolute adversity. She never gave up and was relentless….she did what she had to do to survive and I couldn’t help but love her for it. While the focus was mainly on the women in the novel, there were wonderfully sensual love stories and love scenes that made the reader fall in love right along with the heroines! This book was a total treat for me to read. It was colorful, bewitching, magical, sensual, and engaging! I actually didn’t read it as fast as I anticipated mostly because I wanted to savor every page! It surpassed my expectations in every way: the characters, the story, the romance, the magic…..all if it! I haven’t read any of Forsyth’s other books or series, but I tell you what….after reading Bitter Greens I went out and bought the first book in her The Witches of Eileanan series because I was so in love with her narrative style. Wonderful fairy tale re-telling that will take your breath away! 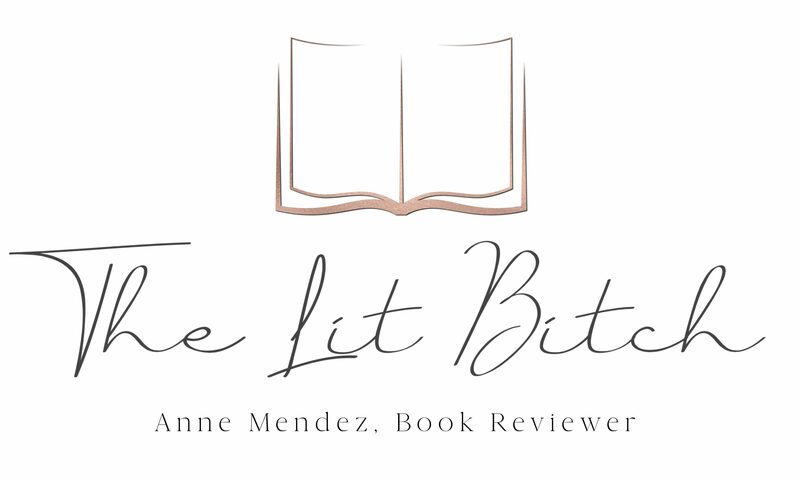 I reviewed this book as part of the BITTER GREENS virtual book tour hosted by Historical Fiction Virtual Book Tours. Be sure to visit the other blog stops on the tour for interviews and giveaways! Tears undermine your strength the way the sea washed away a sand castle.